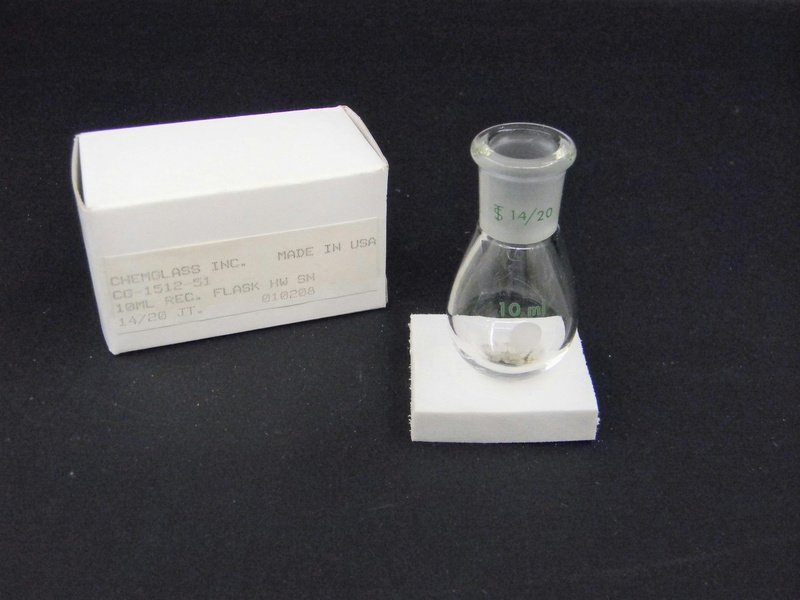 Chemglass CG-1512-51 10 mL Flask Evaporating Heavy Wall Single Neck (2) NIB . New Life Scientific, Inc. These are new-in-the-box flasks that were acquired from a US pharmaceuticals lab. There are no visible cracks or chips to the glassware that would hinder its efficacy. Description: Evaporating flask are for use with rotary evaporators. Flasks have a heavy wall for vacuum application.